Anne Lawver has provided us a new project. We have heard of Harlem Nights but what goes on in this famous location during the day? Anne has captured some worthy moments with her camera. Over the last year I pursued a photography project which resulted in my having the privilege of photographing women seeking beautiful hair in a salon for women of color, Natural Sisters Salon in Harlem, NY, one of the most successful salons in Harlem. My desire is to capture private moments of hair styling, and to honor gifted stylists, artists who endeavor to make dreams of beauty come true. The long standing adage is that a picture is worth a thousand words. It’s also a capsule in time, be it for a generation, a culture, or both. Howard Greenberg’s latest gallery enlightens visitors to both, examining the neorealism photographs capturing post World War II Italy. 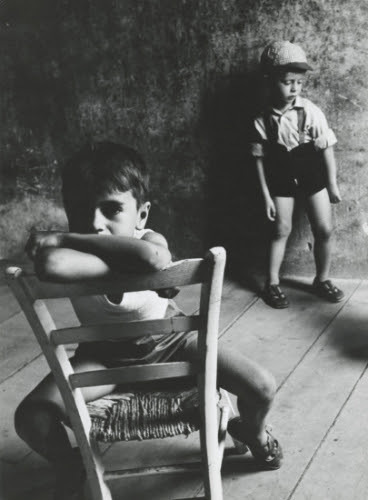 Among the photographers in the exhibition are Carlo Bavagnoli, who photographed in working-class neighborhoods in Rome, and later contributed toLife magazine; Mario de Biasi, who began taking pictures in 1944 with a camera found in the rubble of Nuremberg; Sante Vittorio Malli, who dedicated himself to portraits and landscapes, and established the photo group, Il Naviglio, in 1956; Franco Pinna, who took his first photographs in Rome in 1944, during the arrival of the Allied troops; and Stefano Robino, an artist and designer known for his cultured and elegant style. The exhibit will open September 12th and conclude November 10th, 2018. The dog days of summer will get anybody down, but true beach bums will swoon at the chance to catch the perfect wave. For ocean lovers, surf aficionados, and black and white photography lovers, Joseph Bellows exhibit of transcendental wave photos are worth a look. 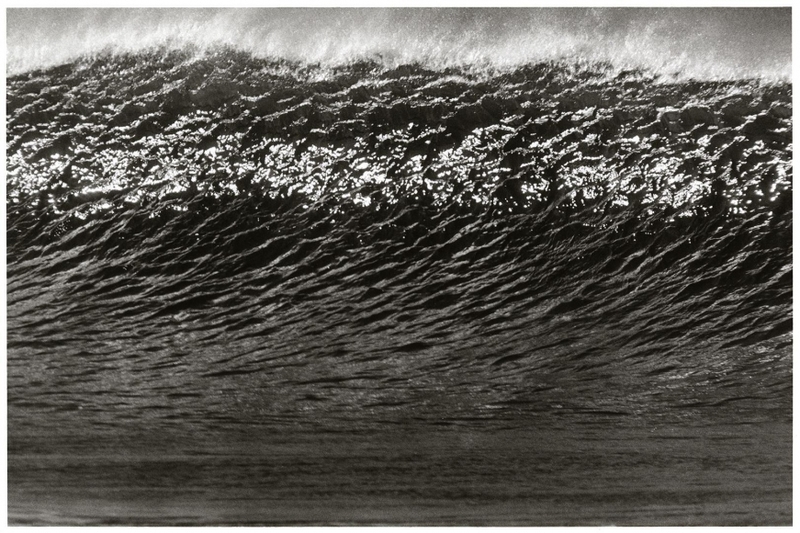 Anthony Friedkin’s tonally rich black and white images of the Pacific Ocean depict the force and the quietude of its waveforms. Each wave is pictured isolated and unique, while suggesting the larger context of the surrounding ocean. The resulting photographs reveal the momentum, formal beauty and reflective grace of the surf. As one looks at the photographs, it becomes clear that the artist is observing and understanding the waves as both photographer and surf rider. The images included in the exhibition are part of a larger project that spans several decades of recording the ocean and its culture. Friedkin’s photographs are in the collections of numerous institutions including: the J. Paul Getty Museum, Los Angeles County Museum of Art, San Francisco Museum of Modern Art, and the Museum of Modern Art. Monographs by Friedkin include: Time Keeper (2003) and the Gay Essay (2014), both with introductions by Julian Cox. Anthony Friedkin’s aquatic essay will be up with other summer selections at Joseph Bellows through the end of August. 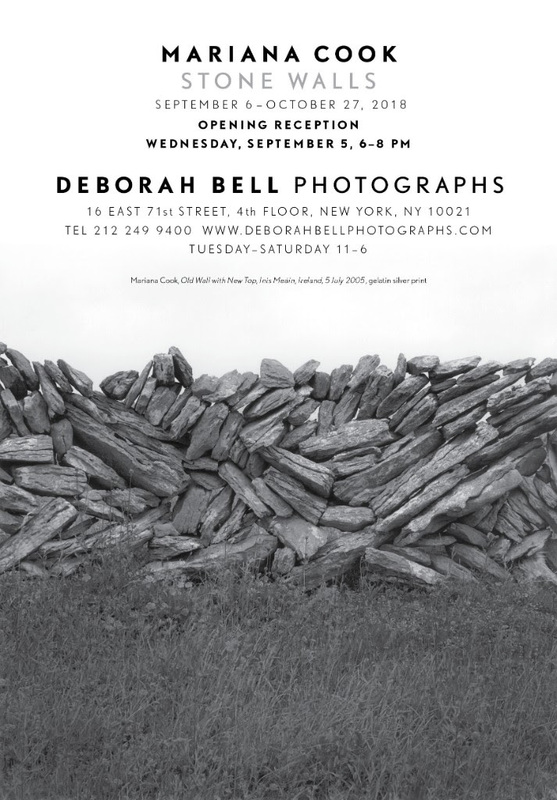 Our friends at Deborah Bell Photography have yet another superb exhibition on their hands, this time kicking off fall with the works of Mariana Cook. practical, majestic and humble, Cook’s photographs of dry stone walls capture a fundamental relationship between human beings and the landscape. Adams, at her home on Martha’s Vineyard on the day before Thanksgiving 2002. After 56 cows strayed through a crumbling section of the stone wall she shares with her neighbor, Cook studied the tumbled wall and was struck by its beauty. and Kentucky in pursuit of dry stone walls. The exhibit will have an opening reception on Wednesday, Sept. 5th, from 6-8 pm, while officially running from September 6th until October 27th, 2018.